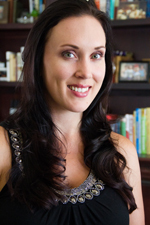 Shawna Malvini Redden, Ph.D. – writer. speaker. professor. communication researcher & consultant. Hi, I’m Shawna Malvini Redden, professional nerd and organizational researcher with a Ph.D. in communication from Arizona State University. This website is filled with resources, whether you’re a student in one of my classes, a potential client, a prospective employer or a person interested in organizational communication research. Check out the blog for the latest and greatest, and please stay in touch. You can reach me via email or on Twitter at @drshawna.